We were delighted when Softshell , a key value-add distributor in the cybersecurity industry, presented us with a bronze vendor award. This follows shortly after Softshell featured us in the vendor news section of their website, with an excerpt from Fintech Finance magazine. Here, the magazine interviewed our CEO, Tonny Rabjerg about general company attitudes to cybersecurity, something which he highlighted needs to change soon. 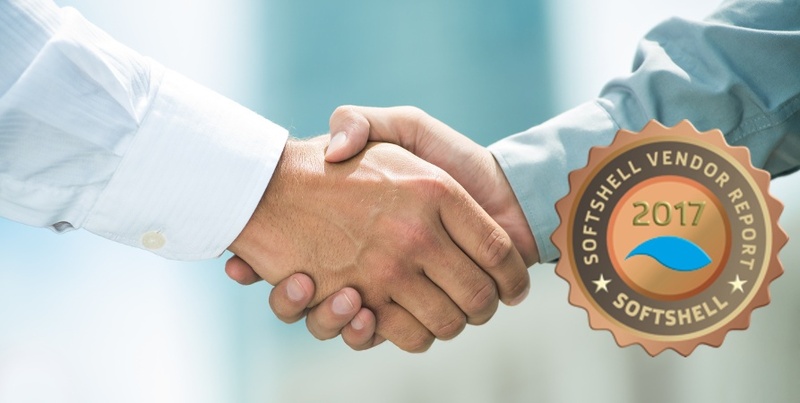 The vendor award stemmed from our participation in the Softshell Vendor Report, which presents key findings from an examination of the international array of cybersecurity hardware and software solutions. This impartial information gives end customers, resellers, and system integrators a solid foundation from which to compare vendors and technologies. Softshell’s awards represent how well a business and its solutions are placed to meet the specific needs of the DACH (Germany, Austria, Switzerland) market. One way we distribute our products is through our partner network, based in Poland, Italy, Africa, South America, and throughout Asia. We recently expanded into Germany too, so this award serves as a great confirmation that we’re getting things right. But what is it about our product that makes it so well placed for DACH? Well, firstly, one of the key parameters on which vendors are judged is whether the user interface can be rendered in German. With CodeSealer products, language barriers don’t exist as the UI is invisible. In fact, users usually have no idea the additional layer of security is there, as they’re not required to install the product themselves. Another contributing factor to vendor awards is whether a company has support located in DACH. With two strong partners in Germany, CodeSealer has guaranteed high-quality local support and implementation. 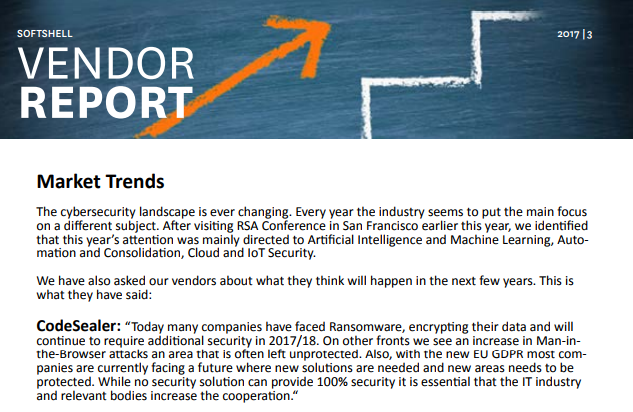 Of 1,281 vendors, CodeSealer and five others were featured in the “Market Trends” section of the report, where we shared our forecast for the security landscape of tomorrow. We noted that companies will need to ensure they safeguard further against ransomware attacks and highlighted the substantial threat of man-in-the-browser and man-in-the-middle attacks. Finally, we pointed out the significance of a new EU regulation: GDPR. It’s essential that companies understand and plan for this regulation, which comes into effect in May 2018. CodeSealer protects all types of devices for all kinds of web application, covering standard web pages and apps based on HTML and WebView. Unlike many tools, it secures your customers from zero-day attacks, and even unknown and undefined attack vectors. 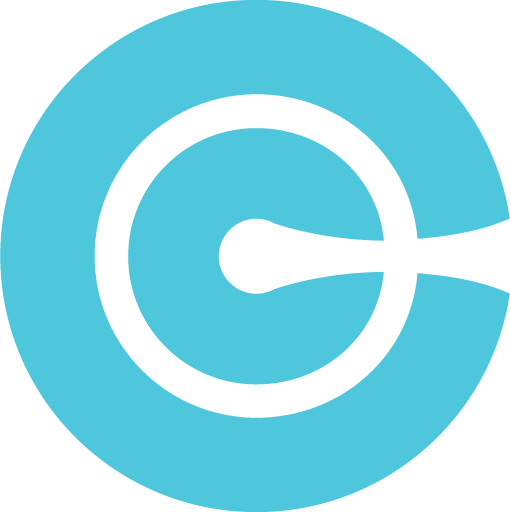 To learn more about how CodeSealer can prepare you for GDPR and safeguard your business against unnoticed man-in-the-browser and man-in-the-middle attacks, book a demo now.